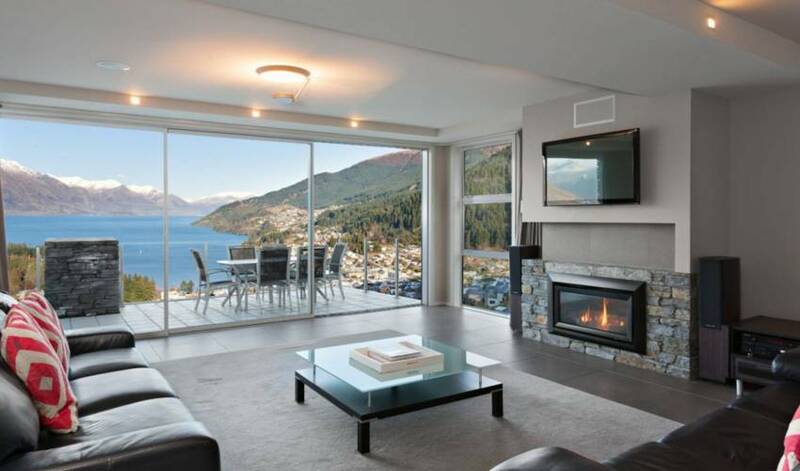 Brand new and interior designed, this stunning two level penthouse accommodation offers the best in stylish and luxury living, with vast sun filled spaces - inside and out - and unsurpassed panoramic views of Lake Wakatipu. 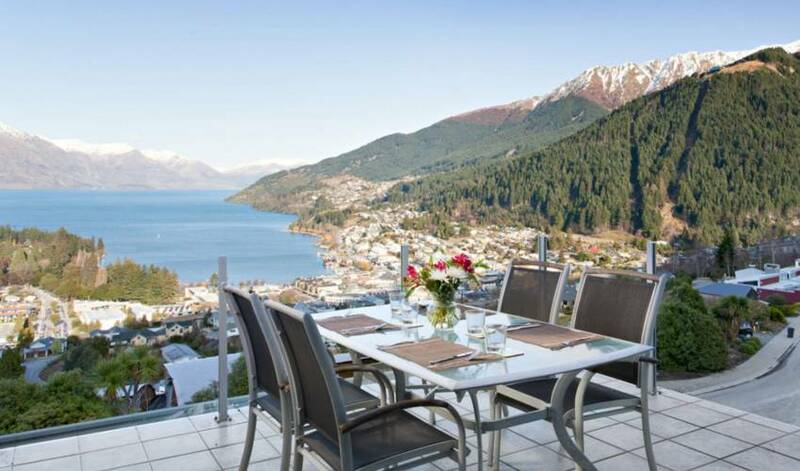 All within a walk to downtown Queenstown. 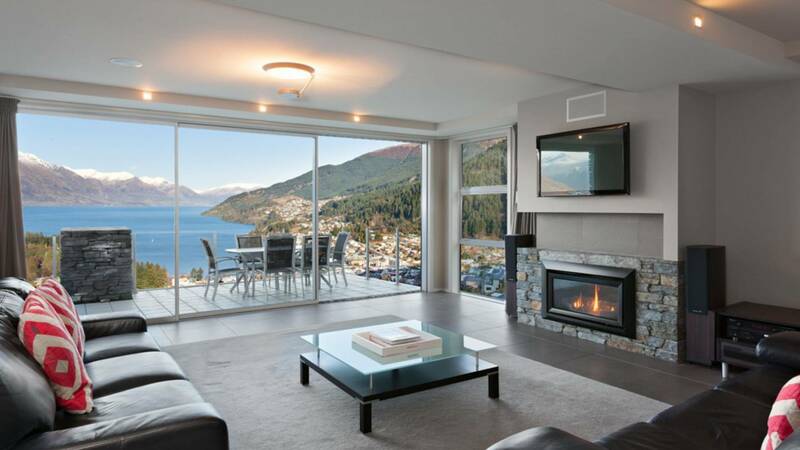 Relax in the huge and comfortable living room, with floor to ceiling windows to maximize the stunning views, along with remote control fire, plasma TV and wireless broadband internet access. 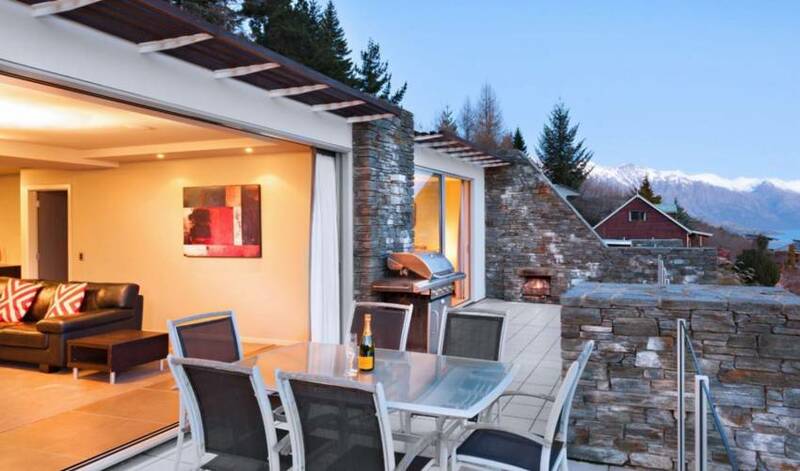 Or enjoy the outside dining setting, with bbq and outdoor fire. 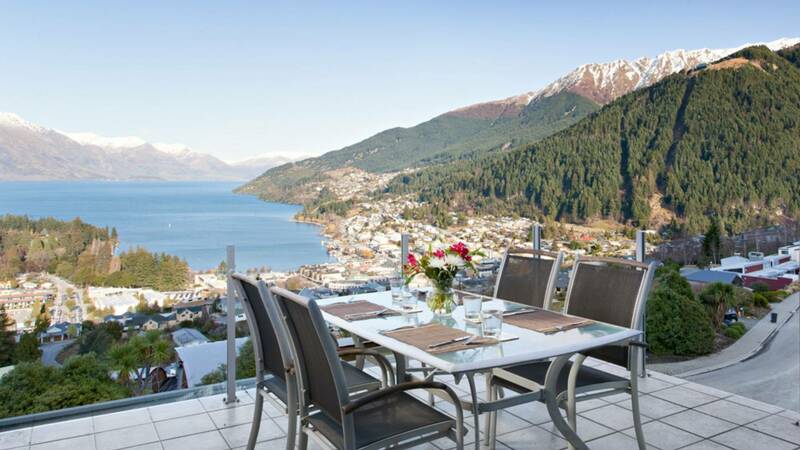 Villa 659 offers a state of the art, fully equipped kitchen, with breakfast bar for casual dining or a 10 seater dining table in the open plan space adjacent. 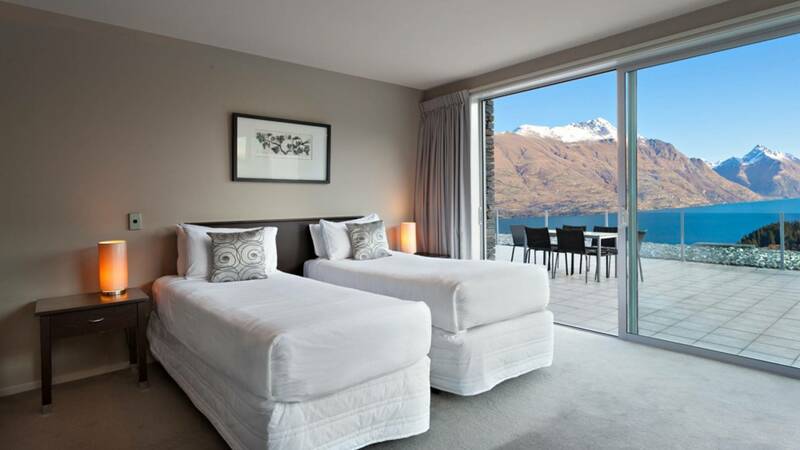 The bathrooms are exquisite, featuring state of the art fittings including multiple head showers, underfloor heating and a spa bath. 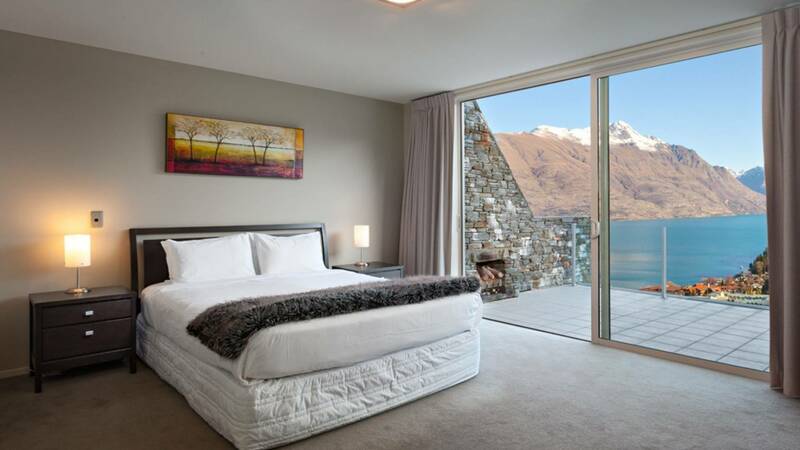 The master bathroom also boasts a spectacular walk in double rain head shower room. 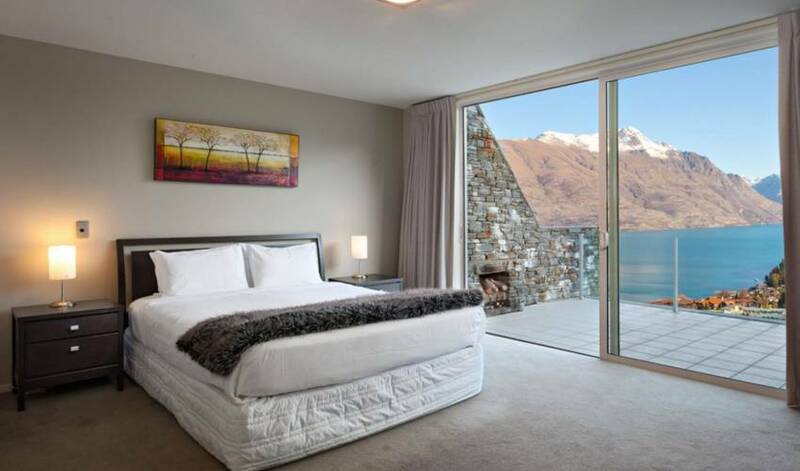 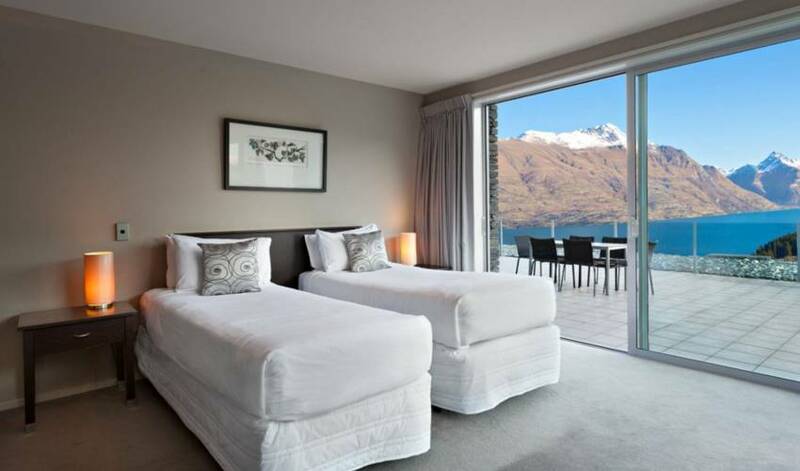 The three / four large bedrooms are sumptuously decorated and each opens out on to a large terrace, three with uninterrupted views over Lake Wakatipu and the mountains. 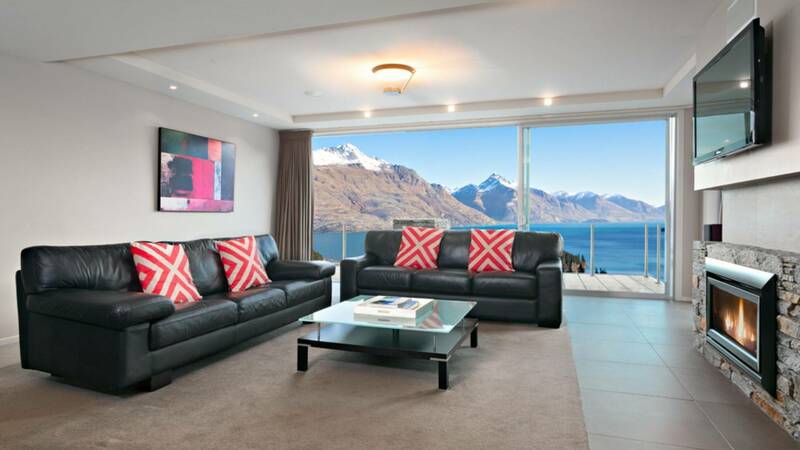 Villa 659 is a stunning, modern, four bedroom duplex penthouse with incredible views of Lake Wakatipu, Queenstown, Walter Peak and the Remarkables from every room. 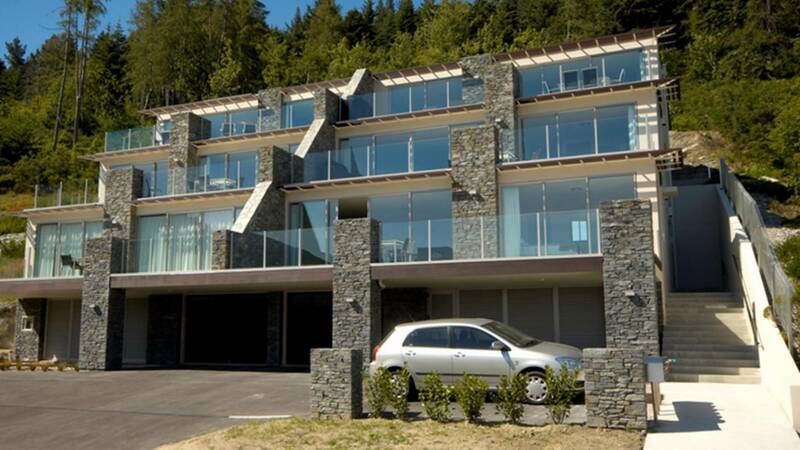 This newly built residence accommodates 8 guests and has been finished to the highest standards throughout. 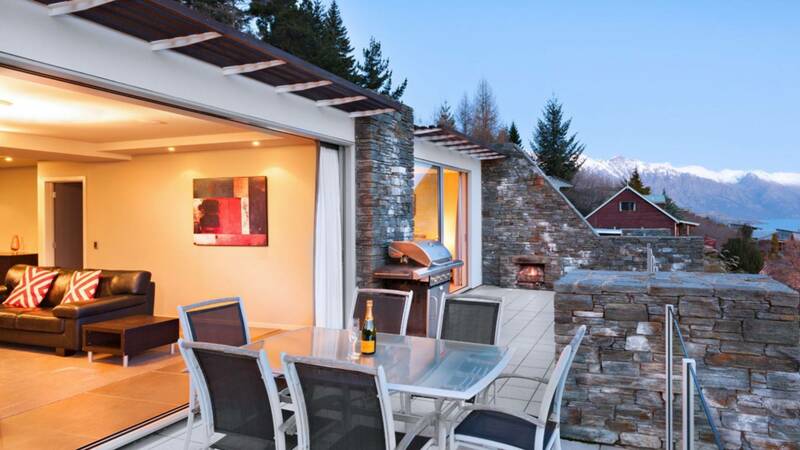 Features include a double walk-in rainhead shower off the Master Ensuite, a gas fire and four burner BBQ on the downstairs terrace, a huge 50 square meter entertaining terrace upstairs, an open plan chef´s kitchen and broadband wireless throughout. 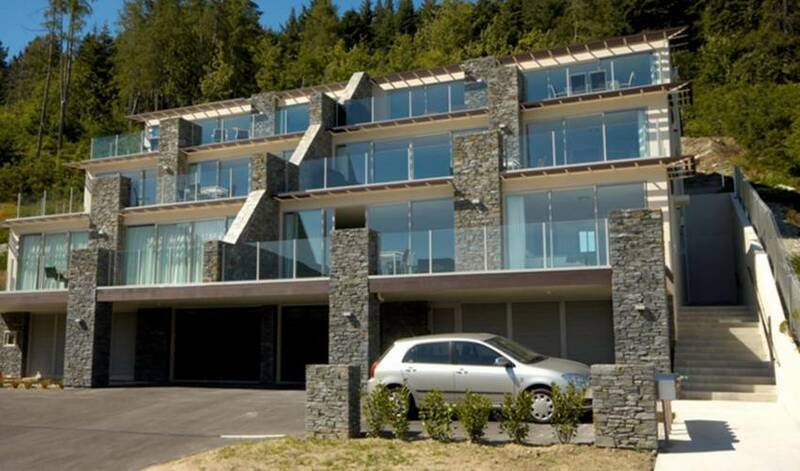 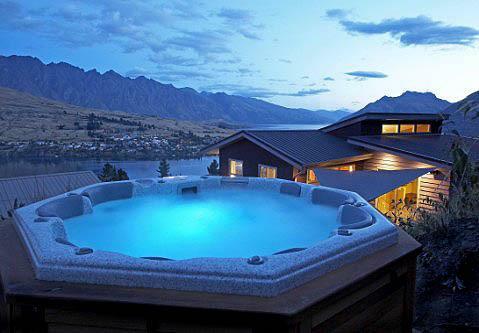 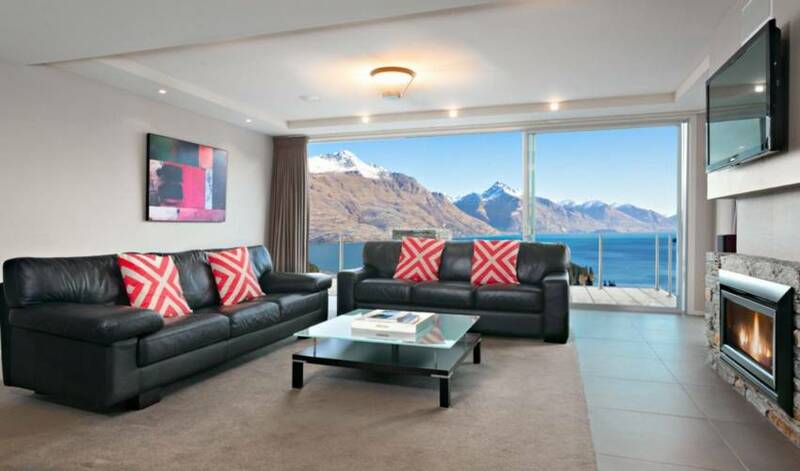 The villa is situated on Queenstown Hill, looking down over Queenstown and out across Lake Wakitipu. 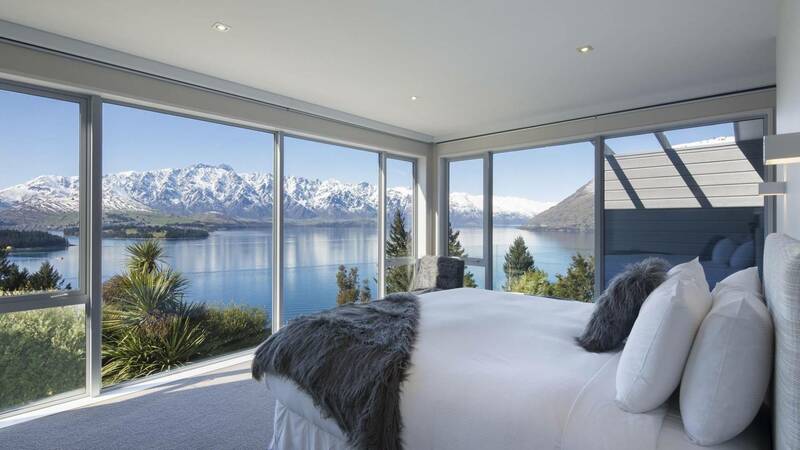 Villa 659 is an oasis of calm. 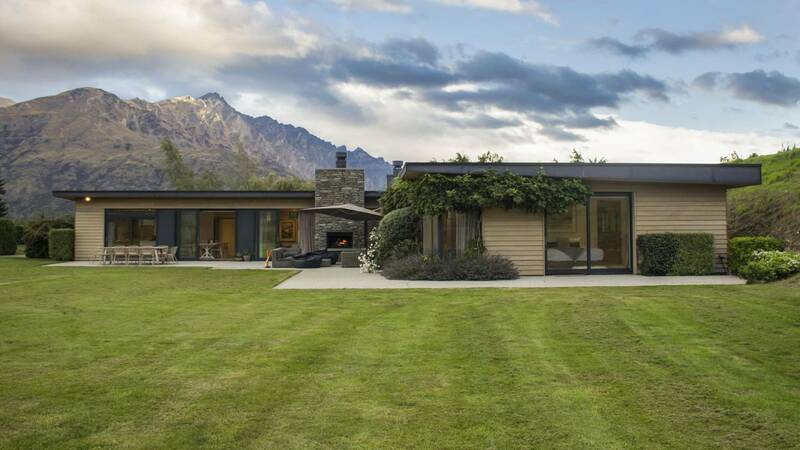 It backs onto pristine reserve land and is just 100 metres from the start of the Queenstown Hill walking track.